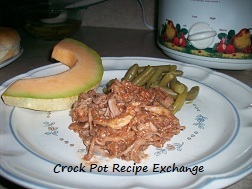 This crock pot pork chop recipe is one of my “go to” recipes when I haven’t planned anything in particular to make for dinner. I often make it when I’ve found pork chops on sale too. In whatever size crock pot that will fit the amount of pork chops you have, place the sliced onions in an even layer on the bottom. Now evenly layer the pork chops and pour the onion soup over them. Cook on low for around 8 hours or on high for around four. Serve over rice or with mashed potatoes. *Notes*1.) If you don’t have canned onion soup, you can use an onion soup mix and add water to it to equal about a cup and a half.﻿2.) 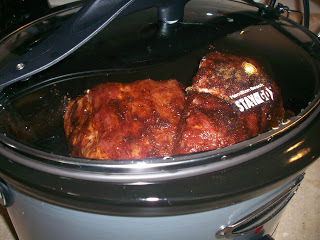 If you’re using more than 6 – 8 pork chops and a larger crock pot, I would suggest using 2 cans of onion soup. This recipe shared at Tuesdays at the Table.